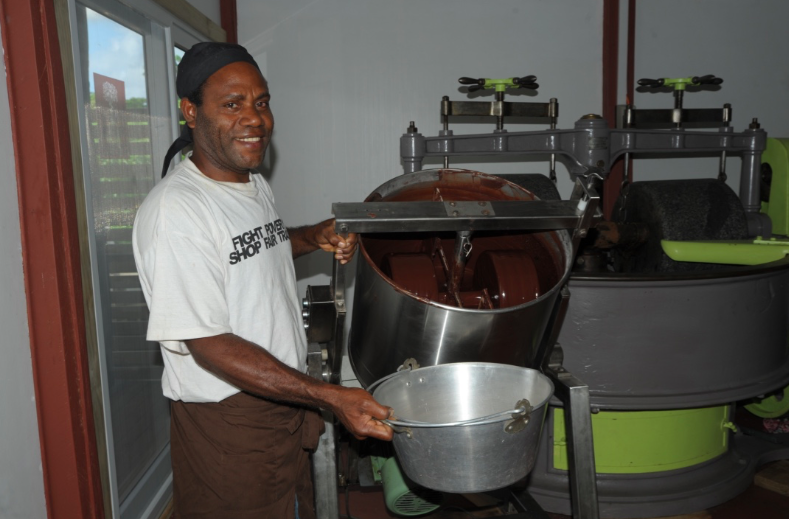 Vanuatu's first chocolate producer Aelan Chocolate Makers™ is a social responsible business owned by ACTIV Association. 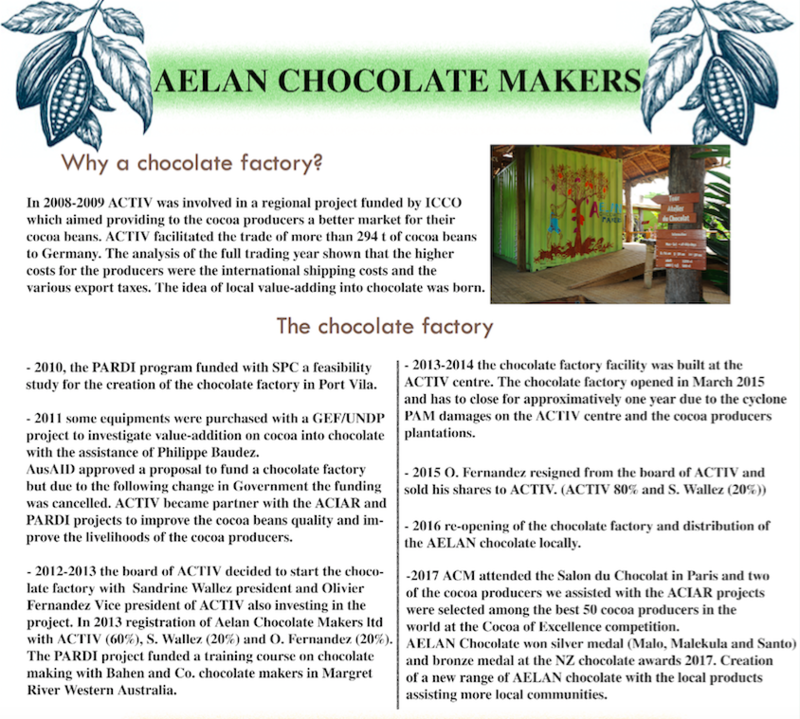 The chocolate factory is located at the ACTIV centre at the second lagoon and you can visit the AELAN shops at the second lagoon or on Lini highway if you wish to purchase our AELAN chocolate. © 2017 ACTIV Association. All rights reserved.